Who is supplying Mohamed Dahlan with money? The United Arab Emirates (UAE). It is their cash that has enabled Palestinians in refugee camps in the West Bank and Gaza Strip to purchase weapons and buy loyalty for Dahlan in preparation for the post-Abbas era -- especially disgruntled young Fatah activists in the West Bank who feel that Abbas and the PA leadership have turned their backs on them. This power struggle will not end with the departure of Mahmoud Abbas. The next Palestinian president will surely be one of Abbas's current loyalists. This in itself will drive Dahlan and his ilk to continue railing against the old guard. Palestinian Authority (PA) President Mahmoud Abbas faces a real threat; its name is Mohamed Dahlan. Abbas has become obsessed with Dahlan, according to insiders. The PA president, they report, spends hours each day discussing ways to deal with the man and his supporters. And, it is rumored, Abbas's nights are not much better. Backed by at least three Arab countries, Dahlan, a former Palestinian security commander from the Gaza Strip, seems to have unofficially joined the battle for succession in the PA. The 54-year-old Dahlan, young enough to be Abbas's son, continues to deny any ambition to succeed Mahmoud Abbas as president of the PA. Yet Dahlan's continued efforts to establish bases of power in both the West Bank and Gaza Strip belie his claims. Abbas's top aides talk about the cash that Dahlan has lavished on many Palestinians, thereby winning their support. Any Palestinian activist whose request for financial aid is turned down by Abbas's office can always turn to Dahlan, who is not inclined to disappoint those who seek his help. Who is supplying Dahlan with money? The United Arab Emirates. It is their cash that has enabled Palestinians in refugee camps in the West Bank and Gaza Strip to purchase weapons and buy loyalty for Dahlan in preparation for the post-Abbas era. Unsurprisingly, Abbas and the PA leadership are less than enthusiastic about this turn of events. Since 2011, they have taken a series of measures to stop Dahlan, but to no avail. First, Abbas ordered his security forces to raid Dahlan's home in Ramallah and confiscate documents and equipment. Second, the Fatah Central Committee, a body dominated by Abbas loyalists, voted in favor of expelling Dahlan from its ranks. Third, the PA, at the behest of Abbas, filed charges in absentia against Dahlan, accusing him of financial corruption and embezzlement. As part of a smear campaign, Abbas and the PA have claimed that Dahlan is a murderer who has Palestinian blood on his hands. They have also been saying that Dahlan stole hundreds of millions of dollars and is in collusion with the Palestinians' enemies. Still, Dahlan appears to be far from vanishing from the Palestinian political scene. In fact, the campaign against him seems to have increased Dahlan's resolve to continue and even step up his efforts to bring down Abbas and his veteran loyalists in the Palestinian Authority. So what is fueling Dahlan's success? Abbas and some of his top aides point a finger at the United Arab Emirates (UAE), the wealthy Gulf country that has been harboring and funding Dahlan for the past five years. Dahlan's ties with the ruling family in the UAE are so strong that he has been appointed as a "special advisor" to Sheikh Mohamed bin Zayed Al Nahyan, the Crown Prince of Abu Dhabi and Deputy Supreme Commander of the UAE Forces. Palestinian Authority officials in Ramallah call Dahlan the "spoiled lad" of Sheikh Al Nahyan. United Arab Emirates money has helped Dahlan and his supporters buy loyalty among Palestinians, especially disgruntled young Fatah activists in the West Bank who feel that Abbas and the PA leadership have turned their backs on them. But while the influential Gulf country provides Dahlan with shelter and funds, two other Arab countries -- Egypt and Jordan -- grant him a certain degree of legitimacy and a platform for his public activities, including those directed against Abbas and some of his top advisors and aides in Ramallah. Dahlan maintains a close friendship with Egyptian President Abdel Fattah el-Sisi, with whom he has met a number of times in Cairo over the past two years. Recently, Dahlan visited Amman and met with several Jordanians and Palestinians, much to the dismay of Abbas and the Palestinian Authority leadership. Dahlan's close ties with the Egyptians and Jordanians are the force driving the tensions that have erupted between Abbas and both Sisi and Jordan's King Abdullah. According to Palestinian sources in Ramallah, Abbas has expressed outrage over the way the Egyptians and Jordanians have openly embraced and endorsed the man he considers his greatest threat. Upon learning of Dahlan's visit to Jordan, Abbas refrained from meeting with government officials in Amman (where he has a private house) on his way to visit other countries. (Abbas routinely travels around the world through Jordan). Abbas was particularly enraged when he learned that King Abdullah had given Dahlan and his family members Jordanian citizenship. Dahlan's visit to Jordan last April is believed to be in the context of his effort to establish bases of power among Palestinians living in the kingdom. According to some reports, Dahlan has already succeeded in rallying dozens of Palestinians from refugee camps in Jordan behind him. "Dahlan is President Abbas's worst nightmare," remarked a senior Palestinian official in Ramallah who has been closely following the complicated ties between the two men over the past two decades. "You can be fired or punished in various ways if the president suspects that you are in touch with Dahlan." Dahlan founded and headed the Palestinian Preventive Security Force in the Gaza Strip shortly after the signing of the Oslo Accords. After the death of Yasser Arafat in 2004, he became one of Abbas's closest confidants, later appointed by Abbas as National Security Advisor to the Palestinian Authority leadership. In 2006, he was elected as a Fatah member of the Palestinian Legislative Council for the Khan Yunis district in the southern Gaza Strip. How Abbas and Dahlan came to be at one another's throats is food for speculation. Some Palestinians believe that the ill-will between the two is purely personal, and began when Dahlan was overheard belittling Abbas's two sons, Yasser and Tareq. Others say that Abbas decided to get rid of Dahlan because he suspected that Dahlan was plotting to stage a coup against him. Then again, 81-year-old Abbas is highly suspicious of Palestinians such as Dahlan who have too much ambition and charisma. Abbas is also very overprotective of his family, particularly his two sons. Other Palestinian officials, such as Salam Fayyad and Yasser Abed Rabbo, who have dared to challenge Abbas in various ways have found themselves stripped of power and money. Abbas's campaign against his critics has been notably successful so far, with the exception, of course, of Dahlan. Those officials who continue to live in the West Bank now keep their mouths shut. Dahlan, of course, does not. Based in Abu Dhabi, Dahlan is beyond Abbas's long arm. 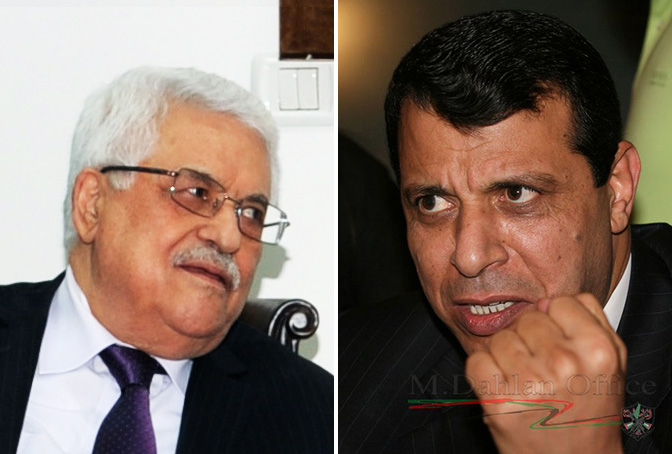 Dahlan's close ties with the leaders of the United Arab Emirates, Egypt and, to some degree, Jordan, has given him immunity against Abbas, who is keen to pacify these three important Arab countries. Besides, Abbas is well aware that he is surrounded by too many wolves, and that opening a new front with Dahlan and his friends/patrons in the Arab countries could put him over the edge. Buoyed by impressive political and financial aid, Dahlan pulls no punches when it comes to Abbas. Last year, Dahlan chose a Jordanian online newspaper to launch a scathing attack on his former boss. In the eyes of some Palestinian political analysts, Dahlan's platform was far from random. They argue that the online newspaper could not have published Dahlan's statements had it not received permission from the highest echelons in the royal palace in Amman. Some Jordanian writers and journalists have in the past been imprisoned for insulting some Arab leaders or countries. Not in this case, where Dahlan made the charges against Abbas. So what did Dahlan share in the interview with the Ammon News website, which described him as a charismatic leader and the number one enemy of Abbas? Dahlan accused Abbas of "hiding" $600 million following the death of Yasser Arafat. According to Dahlan, former Prime Minister Salam Fayyad gave Abbas a total of $1.4 billion, but when Abbas was asked about the sum he claimed he had only received $800 million. He accused Abbas's sons of corruption, claiming their fortune was estimated at over $300 million. He also reminded that Abbas was no longer a legitimate president because his term in office had expired in January 2009. "What kind of a president is this who lives in Amman and rules in Ramallah?" Dahlan asked in the interview. "Abbas's problem is that when the he sits with me he doesn't feel he's a president. No one respects him, not in Palestine and not abroad." Abbas's aides have dismissed the charges as "lies and fabrications," saying they are in the context of Dahlan's ongoing effort to undermine the Palestinian Authority leadership and "serve the agenda of regional powers and foreign parties." Sources close to Abbas have also claimed that the Jordanian news website that gave Dahlan a platform for his attacks on the PA was on the payroll of Dahlan's patrons in the United Arab Emirates. They also claim that Dahlan has similarly used UAE funds to purchase a popular Egyptian online newspaper. The rivalry between Abbas and Dahlan is emblematic of the power struggle between the old guard and young guard in Fatah, the largest Palestinian faction that dominates the Palestinian Authority and the Palestine Liberation Organization (PLO). 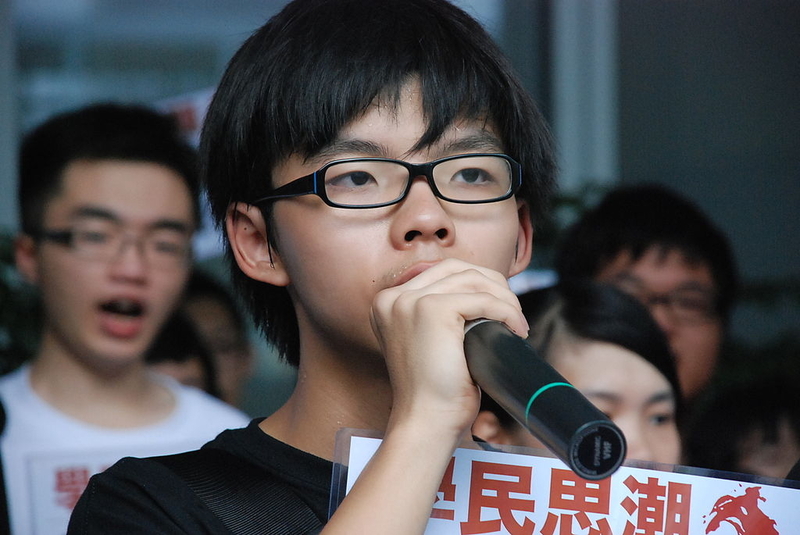 This is a power struggle that has been raging for the past three decades. Dahlan is a representative of the young guard, whose members are strongly opposed to the continued hegemony and monopoly of the old guard over the decision-making process. Dahlan and the young guard are mostly from the West Bank and Gaza Strip, grassroots leaders who have long been complaining that they have been marginalized by the veteran leaders of the Palestinians who came from Lebanon and Tunisia after the signing of the Oslo Accords and who continue to block the emergence of new and younger leaders. This power struggle will not end with Abbas's departure. The next Palestinian president will surely be one of Abbas's current loyalists. This in itself will drive Dahlan and his ilk to continue railing against the old guard. Dahlan's ghost will continue to haunt not only any future Palestinian president, but also Abbas in his grave. Who, then, one might ask, will step up and lead the Palestinians away from the edge of their own abyss? For now, it does not seem that there is a Palestinian leader who has the power or credentials to stop the deterioration.